These kurta Pajama designs with jacket are traditional ethnic wear for men that have never gone out of fashion and today in the wcorld of fashion it is most used cloth in terms of fashion by men. Today in the 21st century there are not only men who want to look awesome but even the women and kids too. All people mainly rely on eating, living and wearing well to enough to out-cast a standard to show others. So, kurta pajama had proved to be one of the best ethnic wear for men. Kurta pajama had always changed the lifestyle of men. Their immense look had fascinated all others. The kurta pajama not only gives you a Traditional look but also an ethnic look out-casting a real man out of you, what if you wear kurta pajama with koti. There is the list of fascinating wears for men, get this top 15 kurta pajama designs with jacket. 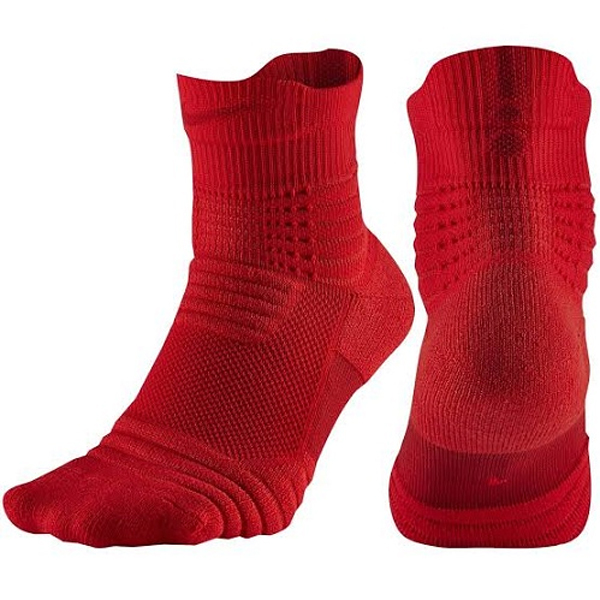 These are giving traditional and eye-catching looks to others. The men today are involved in parties and wedding today. So they want to look more popular by giving a more fine touch to kurta pajama. You can give more fine touch by wearing kurta pajama with jacket for a wedding. A sexier look would be comprising kurta pajama with jacket Punjabi style. It would be more figuring out a picture of a real man giving them a desi look. This one will be a good choice in colour combination with jacket pattern, try this with red shoes for your any ceremony or functions too. Here comes a new kind of jacket to give a more immense look. 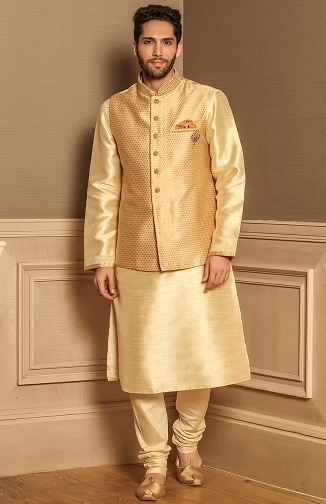 Go the image provided and have a look at how a stylish men’s kurta pajama with jacket would surely provide you a wondrous look for weddings and parties. Kurta pajama with Nehru jacket is a reminder of our beloved Shri Jawaharlal Nehru whose style of wearing jacket is famous till now. 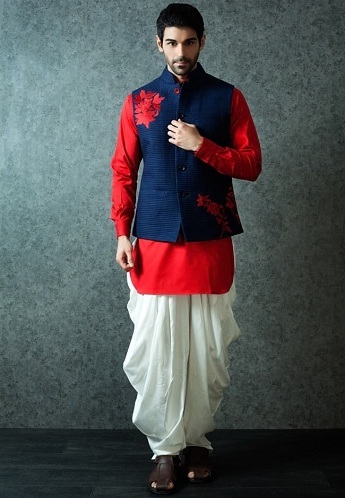 You can wear white kurta pajama with a Nehru jacket giving you a traditional look. The red and black colour had always been popular for wearing kurta pajama but if these bright colours are worn with a jacket it would really give a look that need not be escaped by anyone. Try this outfit to catch the attention in the middle of the crowd. Pathani’s are the most wearied kurta pajama along with a jacket. The pathani’s longs down giving men a more attractive look and if you are going online you would find pathani’s topping the list but I would say wear pathani kurta pajama and jacket. The embroidered kurtas are the one which can be used for any festival celebrations. The green ethnic suits more in terms of kurta having an embroidered craving of Chikan. You can even wear it jacket giving it stylish look to mark on. Here again comes the list of traditional kurtas to give an attractive look for you people. It is a better choice would be a traditional and with embroidered kurta longing till knees and wore with a jacket matching the colour of the kurta. You can see the relevant images provided. These are some of the best kurta pajama with some of the most attractive and fascinating colours used today. 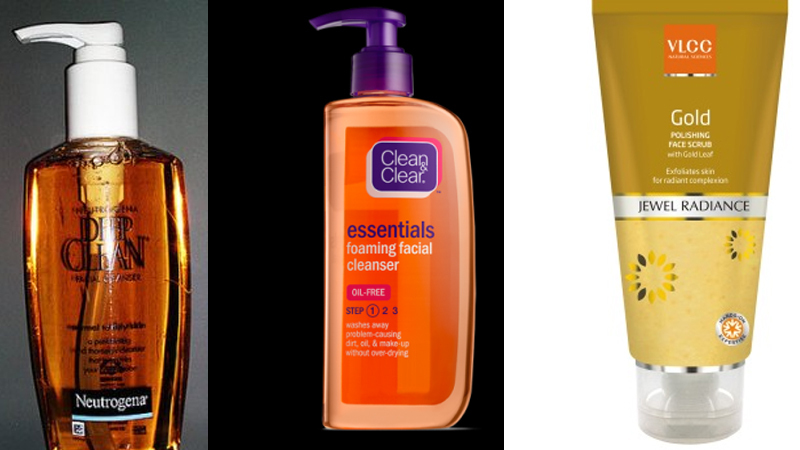 These colours even add to the brightness of your face and make men look brighter and happier. Now we have another kurta pajama design for men to be sexier whether you are in parties, weddings or somewhere else. Your look today is more important also for the career sort of view. The white striped jacket with the black jacket would really give you would surely be admired by others. So white kurta pyjama with jacket you can make yourself more comfortable. These kurta pajama designs remain plain throughout a single bright colour making the line ‘Simply the best’ make true. The beige design can be worn at functions of home or at places where you can simply the best. A jacket would add a finer look to this design. The Embroidered flamboyant Dori kurta are mainly worn by the stars of Bollywood. It is quite expensive but has the classic look as compared to other designs. A black kurta pajama with jacket in flamboyant Dori look would be the best choice for this style. An exquisite look is traditionally the best in terms of kurta pajama with an embroidered jacket wore to give a stylish look. These are mainly kurta pajama for a wedding and could be even worn in small functions to be more ethnic and cool. This is a piece of kurta pajama from sets of Nehru jacket having a silk jacket giving an attractive look of silk over the kurta. A cream bottom, golden kurta and yellow silk jacket would be the best choice for this collection. So for any collection always choose the best choice which suits you the most. The Chinese collar refers to the collar which covers your neck. Nehru jacket in Chinese collar look seems to be more pathetic with the kurta pajama today. There are many designs for kurta pajama and this is one of them. You can wear kurta pajama with a Nehru jacket for a wedding for a more surprising look for the event. This is a striking combination a peach Anarkali Kurta with a long black embroidered koti. The Koti is beautifully hand embroidered with golden thread. It has a round neck that curves into a square one as it reaches the placket. The placket is buttoned half way down with lovely big round golden buttons. This Kurta – pajama with koti is a beautiful one and a wonderful daily college –wear attire. It gives a cute and chirpy look to the wearer. 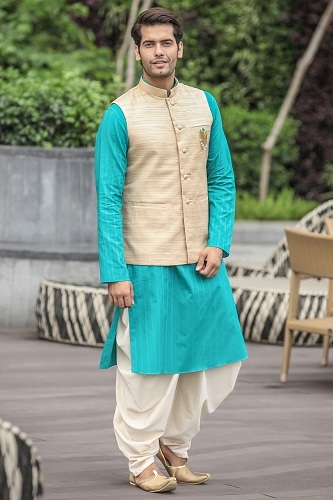 The kurta is green with 3/4th sleeves and A-line silhouette. The neck is simple and round. The hemline is bordered with a double satin ribbon border and the sleeves one satin ribbon border. The koti is short and is ornamented with embroidery using multi-coloured silk thread. Here is an exquisite long kurti of georgette material of dark blue colour and has a pretty broad golden coloured lace bordering the hemline. The koti is a golden coloured, Banglori style and open with a high neck. 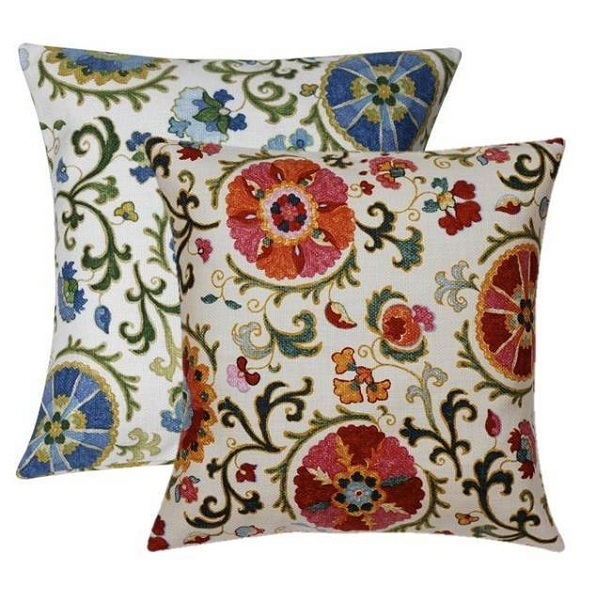 Wonderful hand embroidered floral designs of blue colour and golden leaves beautify the koti. The koti has long sleeves with dark blue piping at the ends. Wear it and your look shall be the most captivating in the crowd. 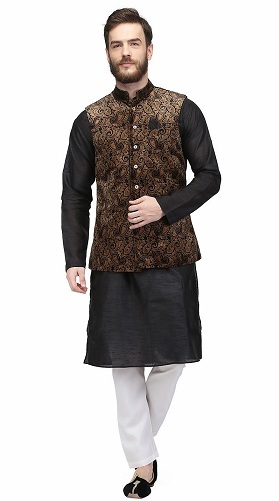 This is an exquisite kurta with koti design for men. The Kurta and pajama are made of dupion silk tailored with a Punjabi touch. The kurta is long sleeved with the jacket material sewn at the cuffs. The kurta is beautifully styled with a Nehru-collar and a lovely pocket with the blue dupion silk kerchief for the show. 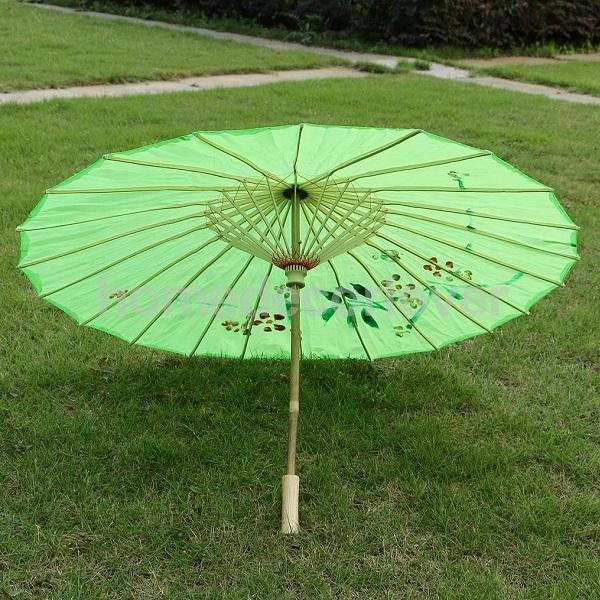 It can be accompanied by lovely mojaris to give a royal look. A wonderful and graceful grey long kurta with a blue koti is surely the perfect one to wear for parties. This dress has a captivating look due to the lovely embroidery work on the suit. The koti is embellished with embroidery thread booti work. The entire set is made of materials like – for the top is the faux georgette fabric, for the inner and bottom the santoon material is used and dupatta is of nazmin fabric. This is a breathtaking kurta, pajama with koti for men. The golden coloured kurti with pajama is covered with a beautiful blue koti with golden print. The material used is silk and it can be only dry cleaned. This looks like a perfect outfit to wear for ceremonies like sangeet. This is an utterly magical silk kurta and pajama with koti for men. The koti is of printed cream-coloured hue silk. It is sleeveless with a Chinese collar. The placket is fully buttoned. A simple yet wonderful set that is glamorous for weddings. The pajama is Patiala styled to give it a rich look. You can wear brown coloured plain mojaris or leather cut shoes for the perfect look. Here’s a fantabulous designer Mustard coloured kurta set with a printed koti and a drape. The kurta is of crushed chanderi material with a high collar and front buttons. It is paired with ivory coloured pajamas that are slim fit. The koti is of raw silk and has floral foil print. The spotlight of the dress is the mustard coloured drape that highlights the dress. Here is a white kurta pajama with Koti. The white colour indicates that you are a peace-loving person. The pajama is pathani style. The koti is hip-length with intricate embroidery work. It has a Nehru collar and is sleeveless. The koti has only one button fastening and opens in an upside-down V shape. For a complete look wear mojaris. The koti unveils a modish style. A subtle looking Pink Kurta and Pajama with Blue koti is a nice ensemble for a wedding to match the glamorous outfit of your better-half. The blue koti has a Nehru jacket look with a pocket. The kurta is of the wrap style for a little modern touch. Wear a simple pink pajama to match and mojaris on your feet to sweep your bride off her feet. This one is a lovely pink coloured Kurti with a pajama of georgette material. It has pretty self-coloured embroidery around the sweetheart styled neck. The kurta, as well as the long koti, are long sleeved. The grey long koti is embroidered with lovely pink roses with silk thread. The open koti is also bordered along the front as well as sleeve ends with golden lace and pink satin ribbon lace. This is a totally trendy white kurta pajama with koti for men. It is a nice party wear ensemble. The kurta and pajama are made of raw silk material. The pink koti is of Nehru style. The vibrant pink koti has pink buttons and a square pocket. The pajama is of Patiala style whereas the kurta has long sleeves which can be pushed to the elbows giving a macho look. Why should only adults try out fashion? Here is a classic piece for your son whose outfit will make other moms feel jealous about you. A royal blue pajama of dhoti style with a lovely border and a beige raw silk will give a prince charming look to your son. To top it up a blue coloured koti with gold and blue zigzag patterns adorned with golden buttons and on the feet golden coloured mojaris. A stunning black straight cut kurti of knee length and palazzo style pajamas crafted especially for all the black lovers. The kurti has a plain round neck with half sleeves. This outfit is coupled with a sleeveless short koti with feathers embroidered all over with silvery golden thread. This is baby pink kurta, pajama and koti set which is sure to be like by females of all ages. The kurta is plain and gown styled with a round neck and short sleeves. However, the koti is printed with golden coloured shells and bordered with a golden coloured got a with golden coloured beads. This koti adds shine to the dress. The kurta and pajama, as well as the koti, can be of chiffon or silk material so that it sways as you move. Kurta pajama as all know had always remained the best. It inculcates many designs into it whether it is embroidered or something else. There are top 15 designs mentioned you can choose accordingly the best design and choice that suits your personality. Get this style in a pattern of wide varieties collection with jacket; you will surely get good comments on your outfit choice.